Yesterday, we ran down 20 of the Gameological staff’s favorite games of 2016 so far. The year has already been kind to games, and I think that’s reflected in our wide-ranging list. There’s just too much great stuff coming out all the time for any one person to play, and that includes us. We’ve got a few weeks here before the new release season is back in full swing—although the August 9 launch of No Man’s Sky threatens to devour everything and everyone—and I for one am hoping to spend it catching up with some of the buzzed-about games I’ve yet to play. I’ve never been one for Harvest Moon or any other “slow life games”—as the always wonderful Retronauts podcast dubbed them—that aren’t Animal Crossing. 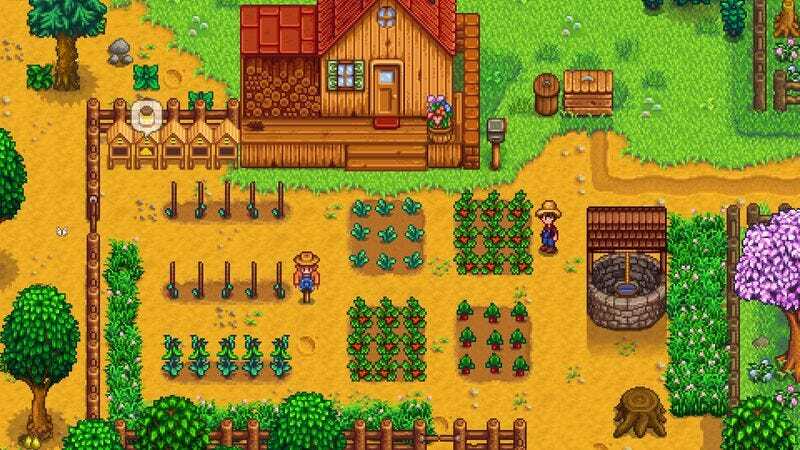 But I’m a believer in striving to push your boundaries, and it given its leisurely pace and quiet farm-town bent, this really does seem like the relaxing come-down game I need at the moment. So rest assured, Gameologerinos, I’ve heard you, and I’m going to play Stardew Valley. After that, well, if I can work up the courage to venture into another one of my long-avoided genres, I’d like to give the grand galactic civilization management of Stellaris a try, but that’s another adventure for another time. What about you? I’d love to hear what 2016 games you’re all hoping to catch up with, and as always, let us know what you’ll be playing this weekend. Maybe it’s time to take the plunge and dive into something new.